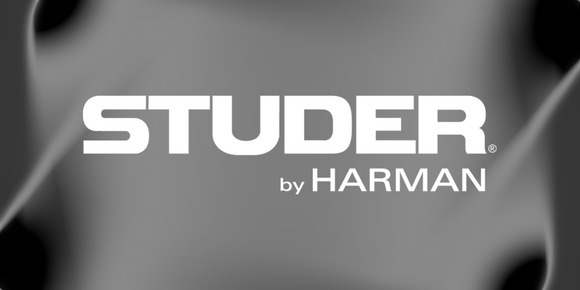 AMSTERDAM, The Netherlands – Riedel Communications and HARMAN’s Studer have announced a joint development which promises to deliver Studer customers a unique and highly scalable audio routing system offering I/O capacities in excess of 10,000 x 10,000 inputs and outputs, and providing direct integration with the Riedel MediorNet system over Studer’s new proprietary A-Link digital interface. Studer is the first company to enter into a distribution agreement with Riedel, whereby Studer will be able to supply complete systems including consoles and routers. A-Link, developed by Studer, is a point-to-point topology similar to MADI, but is much faster and with a potential capacity of 1,500 channels per connection. The two companies have worked closely to develop A-Link interface cards for Riedel’s MediorNet and Studer Vista and OnAir DSP engines. A single MediorNet 2U box fitted with six A-link cards can deliver a matrix of 4608 x 4608 inputs and outputs, connected to A-Link cards in Studer’s SCore Live DSP systems using optical cables. This provides an elegant, redundant routing system. This configuration provides a highly cost-effective and powerful routing system in just 2U, at a lower cost than many lower-capacity systems. The MediorNet system also allows for further expansion and integration possibilities, since the system may be configured to provide a video and audio routing solution, with de-embedded audio from the SDI streams being sent to the Studer consoles, and the return signals embedded back onto the video. For larger-scale applications, the MediorNet system may be configured with several networked frames in a unique distributed routing network, complete with redundant-ring topology. Andy Trott, Studer’s VP and General Manager, is understandably enthusiastic about the partnership and its results. “We’ve been working with Riedel for 2 years on this, and this solution is simply amazing! The power of the combined systems is unrivalled in the audio market and we see great opportunities for our customers from these developments. To have such a massive I/O capacity in such a small amount of hardware would have been unimaginable only five years ago,” Trott said. The partnership also means Riedel expands the capabilities of its network backbone since existing customers can now integrate Studer consoles very simply and cost-effectively. Riedel Communications designs, manufactures, and distributes pioneering real-time video, audio, data, and communications networks for broadcast, pro-audio, event, sports, theater and security applications. The company also provides rental services for radio and intercom systems, event IT solutions as well as fiber-based and wireless audio & video transmission systems that can be easily scaled to events of any size anywhere in the world. Founded in 1987, the company now employs more than 400 people at 11 locations in Europe, Asia, Australia and the Americas.